The J.D. Power and Associates 2011 U.S. Automotive Performance, Execution and Layout (APEAL) Study finds that overall vehicle appeal has reached an all-time high since the study’s inception in 1996 with the recently launched all-new and redesigned models substantially more appealing than their carryover counterparts. The improvement is partially driven by higher ratings for vehicle styling and fuel economy provided by owners of recently launched vehicles. BMW and Dodge each capture three segment-level awards. BMW models receiving awards are the X3, Z4 Roadster and 5 Series, while Dodge receives awards for the Challenger, Charger and Durango. The Charger, Durango, X3 and 5 Series are all redesigned for the 2011 model year. Ford and Honda capture two model-level awards each, with Ford receiving awards for the all-new Fiesta and F-150 LD and Honda receiving awards for the Ridgeline and redesigned Odyssey. Also receiving awards are the Chevrolet Volt, Hyundai Equus, Land Rover Range Rover, Lexus IS, MINI Countryman, Nissan Armada, Porsche Cayenne, Scion xB, Suzuki Kizashi and Volkswagen GTI. Of these, the Countryman, Equus and Volt are all-new models, while the Cayenne is redesigned. The Equus achieves the highest APEAL score of any model in the industry in 2011. This is the first year that a model other than the BMW 7 Series, Lexus LS or Mercedes-Benz S-Class has led the overall model ranking. 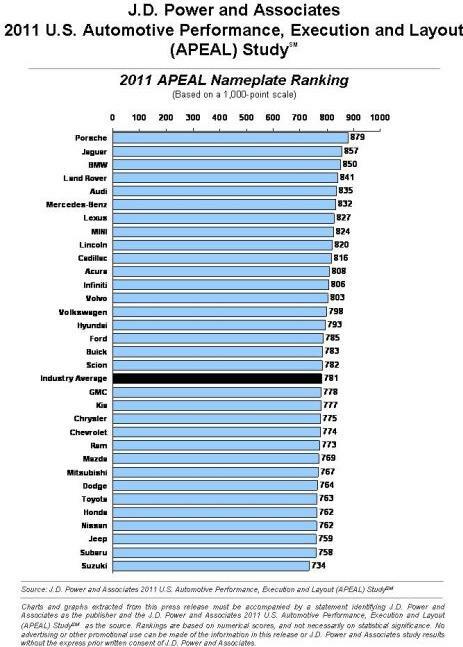 Three models rank highest in their respective segments in both the 2011 APEAL Study and the 2011 IQS: the Dodge Challenger, Ford F-150 LD and Honda Ridgeline. Porsche is the highest-ranking nameplate in the 2011 APEAL Study for a seventh consecutive year. Hyundai improves from 2010 more than any other nameplate this year, while Jeep and Chrysler also improve considerably. The APEAL Study examines how gratifying a new vehicle is to own and drive, based on owner evaluations of more than 80 vehicle attributes. The 2011 APEAL Study is based on responses gathered between February and May 2011 from more than 73,000 purchasers and lessees of new 2011 model-year cars and trucks who were surveyed after the first 90 days of ownership. The 2012 Scion iQ premium micro-subcompact is only 10 feet long, seats four people in an offset seating arrangement, making it the world's smallest four-seater. The Scion iQ will have a 94 horsepower 1.3-liter, four-cylinder engine paired with a Continuously Variable Transmission achieving an EPA-estimated combined fuel economy rating of 37 miles per gallon when it begins arriving in dealerships this October. The Manufacturer's Suggested Retail Price starts at $15,265 plus the $730 delivery, processing and handling fee. The iQ has 11 standard airbags, including the world's first rear window airbag. A compact front-mounted differential, high-mount steering rack with electronic power-steering, and a compact air-conditioning unit all amount to significant decreases in front-end length. In addition, the iQ is equipped with a flat gas tank housed beneath the floor that reduces rear overhang. Slim-back front seats optimize rear legroom, while the "3+1" offset seating arrangement allows one adult to sit behind the front passenger and a child or small package behind the driver. The all-new Volvo S60 T6 R-Design and enhanced XC60 T6 R-Design will debut in North America this summer with a 325 horsepower turbocharged inline six-cylinder engine delivering 354 lb-ft. of torque on a sport chassis that features a strut brace under the hood that ties together the suspension strut towers, stiffening the body structure and improving steering response. New rear dampers feature a monotube concept which delivers compression and return damping via the same valve, giving a shorter, faster fluid flow. This in turn means the damper responds more quickly. Springs are shortened by 15mm and have an increased stiffness of 15%, while rear bushings are 20% stiffer. The S60 T6 R-Design is available with Pedestrian Detection with Full Auto Brake which helps the car avoid hitting a pedestrian at speeds up to 22 miles per hour. The new 2012 Nissan Versa Sedan is totally redesigned on the all-new front-wheel drive global "V" for Versatile platform utilizing nearly 20 percent fewer platform components and weighing around 150 pounds less than the previous "B" platform. The Versa Sedan is powered by a 109 horsepower 1.6-liter 4-cylinder engine with a dual injector system and twin Continuously Variable Timing Control delivering 107 lb-ft of torque. Nissan brags that the new Versa has the lowest starting M.S.R.P. in America at just $10,990 (excluding applicable tax, title, license fees and destination charges). The Versa Sedan is available in three models: the 1.6 S starting at $10,990, 1.6 SV starting at $14,560 and 1.6 SL starting at $15,560. 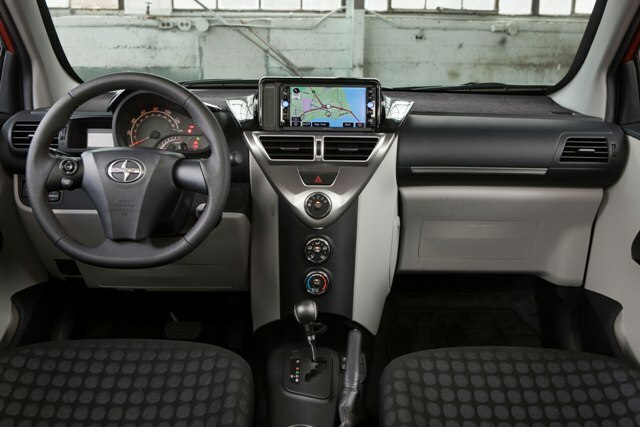 Among the available 2012 Versa Sedan optional equipment packages are a Convenience Package (1.6 S CVT), Convenience Package (1.6 SV) and Tech Package (1.6 SL) including such features as a Bluetooth Hands-free Phone System, XM Satellite Radio (XM subscription required, sold separately) and an in-dash 5-inch touch-screen navigation system with XM NavTraffic (XM subscription required, sold separately) and USB input for iPod and other compatible devices. 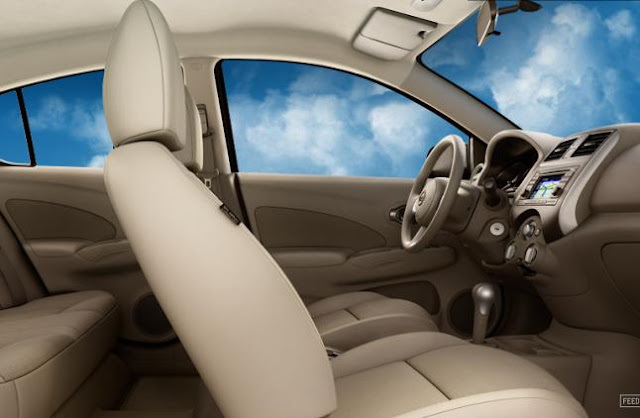 The base 1.6 S 5MT includes standard air conditioning, 6-way adjustable driver's seat, AM/FM/CD/Aux-in audio system. The 2012 Versa Sedan is available with a 5-speed manual transmission (1.6 S model only) and with a next-generation Xtronic CVT™ transmission with an estimated 30 mpg City, 38 mpg Highway and 33 mpg Combined with the CVT transmission (27/36/30 mpg with the 5-speed manual transmission). The Versa is scheduled to go on sale at Nissan dealers nationwide in early August. General Motors reported 215,358 total U.S. sales in June, an 11 percent gain compared to June 2010. In the first half of 2011, GM reported 1,261,633 vehicles sold, a 16.8 percent increase over the first half of 2010. Ford Motor Company June sales were 194,114, up 14 percent versus a year ago. Year-to-date, total sales are 1,072,714, up 12.4 percent. Toyota Motor Sales, U.S.A. reported June sales of 110,937, a decrease of 21.1 percent from the year-ago month. For the first half of the year, TMS reported sales of 812,788, down 3.9 percent during the first half of the year. Chrysler Group reported U.S. sales of 120,394, a 30 percent increase compared with sales in June 2010 for the best June sales since 2007. First half 2011 Chrysler Group sales are 639,932, an increase of 21 percent versus the first half of 2010. American Honda posted June sales of 83,892 vehicles, a decrease of 24.3 percent, based on the daily selling rate. American Honda year-to-date sales reached 607,442, an increase of 1.6 percent versus last year, based on the daily selling rate. Although production limitations caused by the March 11 earthquake in Japan continued to improve, reduced vehicle supplies adversely affected June sales results. Nissan North America reported June U.S. sales of 71,941, an increase of 11.4 percent. Nissan Division sales increased 16.7 percent for the month at 65,659 units. Sales of Infiniti vehicles decreased 24.3 percent from the prior year, to 6,282 units. For 2011, NNA sales have increased 14.7 percent to 504,973 units. Hyundai Motor America had sales of 59,209 in June, a 16 percent increase compared with the same period a year ago. For the first six months of the year, total sales are 322,797, up 26 percent, with retail volume rising 38 percent. Kia Motors America June sales of 45,044 vehicles represents a 41.2 percent increase from the same period a year earlier. KMA's year-to-date sales of 140,330 is up 44.1 percent over 2010. Volkswagen of America reported sales of 28,444, a 35.1 percent increase over prior year sales. Year-to-date sales are 154,125, up 22.3 percent. Separately, Audi reported sales of 10,051, an 16.9 percent. Year-to-date Audi sales are 55,909, an increase of 15.4 percent. The BMW Group in the U.S. (BMW and MINI combined) reported June sales of 26,865 vehicles, an increase of 15.1% from the 23,331 vehicles sold in the same month a year ago. Year-to-date, BMW Group is up 18% on sales of 143,521 in the first six months of 2011 compared to the same period in 2010. Mercedes-Benz USA reported June sales of 22,563 vehicles, an 18.8 percent improvement over June 2010. On a year-to-date basis, the 118,021 vehicles sold represent a 10.4 percent increase. Subaru of America announced June 2011 sales of 19,794, an 8.4 percent drop from a year ago. Overall year-to-date sales were 132, 049 up 4.8 percent from the same period in 2010. Mazda North American Operations reported June sales of 19,307 vehicles, up 5.9 percent versus June of 2010. Sales through the first half of the year are 122,379, up 5.8 percent versus last year. Mitsubishi Motors North America reported June 2011 sales of 8,299 units, nearly doubling June 2010 sales with an increase of 97.7 percent. Year-to date sales are up 66.5 percent. Jaguar June sales of 1,389 represents a 14 percent decrease from June 2010 while year-to-date Jaguar sales are 6,410, a 10 percent gain over 2010. Land Rover sold 3,152 vehicles in June, a 13 percent rise and year-to-date sales are 17,292, up 16 percent. Combined JLR sales are 4,541 for June, up 3 percent from 2010 and 20,815 for the year so far, a 14 percent increase. Porsche Cars North America announced June sales of 2,546, an increase of 19 percent. So far in 2011, sales are 15,542, a 42 percent increase. American Suzuki sold 2,278 in June, a 12 percent increase over June 2010 and year-to-date sales are 13,402, a 16 percent gain. Sales will be updated as manufacturers report.